NPV is committed to delivering cost-effective solutions for your business. We will recommend Open Source solutions optimized to your business needs. Open Source software can provide your business with a competitive advantage by reducing your licensing, maintenance and hardware costs, and lowering deployment time. Open Source solutions are vetted by the professional IT community and allow customization to suit client needs. While proprietary software can take weeks to patch security threats, any security loopholes in open source software are discovered and patched faster by the dedicated IT community which uses open source solutions. NPV is an Open Source expert and we provide a range of web Open Source solutions and support. 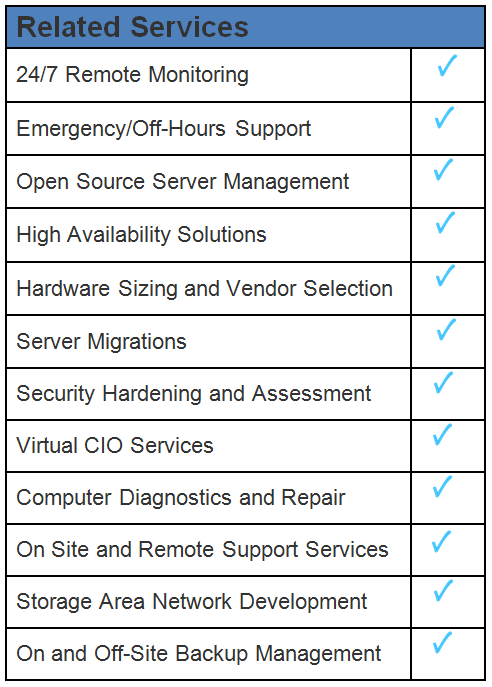 Linux based solutions are reputed for their reliability, versatility, and cost-effectiveness. These servers are state-of-the art solutions capable of supporting many applications and users. Linux servers offer clients many advantages. Changes and updates to the Linus server can also be made without shutting down your services. Linux servers also experience fewer crashes and downtime than comparable solutions on the market. Linux servers are also less vulnerable to security threats so you don't have to worry about threats to your company. Whether you are running a single web server or Na enterprise ERP installation on Linux, NPV Corporation has the vision and innovation to ensure that your next project is a success. Our Content Management Systems (CMS) provide a dynamic solution for maintaining your website quickly and easily. As a CMS is largely built for all user types, updates to your website pages may be done through simple forms and without any programming knowledge or other technical configurations needed. Customize your Site: Template allows you to control and change the look and feel of your site without affecting your site’s content. Control your Content: CMS Hosting enables you to publish and change your content quickly and easily. Expand Features: Use open source add-on modules to easily expand the functionality of your site. Save Time: With a CMS solution, reap the benefits of increased control, efficiency, and content value. 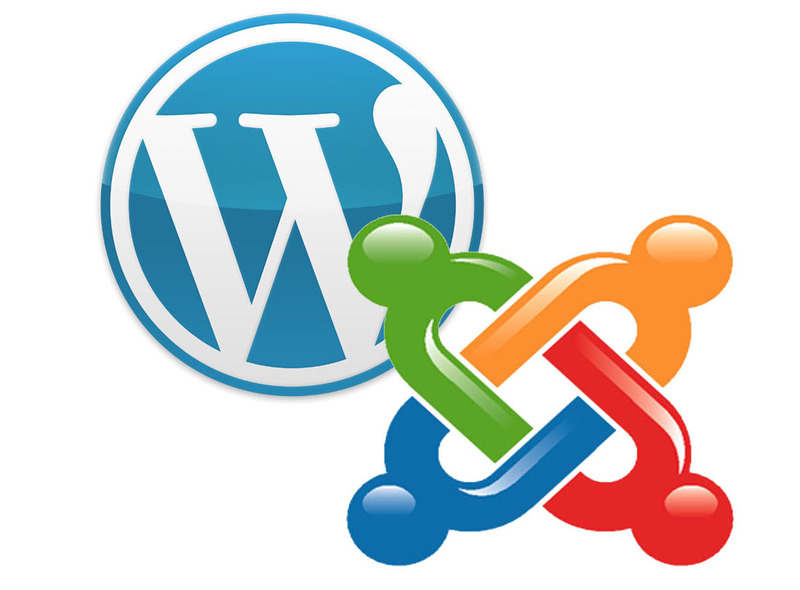 NPV provides CMS support and services with the popular Joomla! and WordPress Content Management Systems. These are currently the top two web CMS solutions in the world and feature a diversity of free templates, plugins, and applications to support your business needs. Schedule an appointment with us to discuss which solution will work better for your business. Moodle has revolutionized the learning process, by offering an advanced and user-friendly solution for encouraging the collaborative work of students and teachers. Moodle now boasts of 64 million users worldwide and was voted 11th in the list of Top Tools for Learning 2012 by the Centre for Learning and Performance Technologies. It comes with a toolbox full of online teaching techniques that facilitate and enhance proven teaching principles and traditional classroom activities. The philosophy behind Moodle states that through an accent on collaborative learning, students get better motivated to engage themselves in the training process. 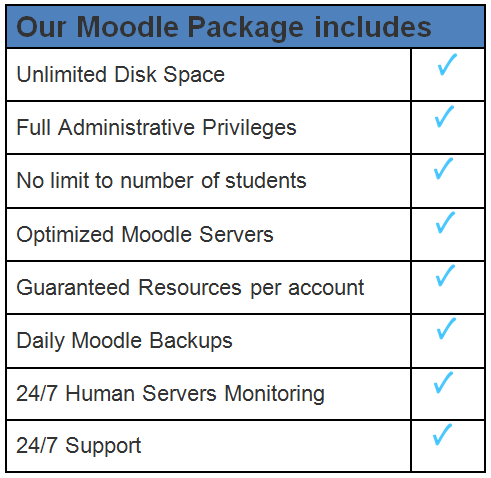 Browse through our Moodle service package below, and click here to learn more about what we can do with Moodle.